In the following we explain how we use the information that you provide and/or leave behind when communicating or dealing with us and using the various services on the website, including the Website Behind Login (the 'Website'). Vikan A/S is data controller for the personal data collected and processed. When you have any dealings with us we may collect personal data about you. If we request information from you, we will always state if providing the data is voluntary or mandatory in order to complete the requested action. The legal basis for processing your personal data is primarily the performance of agreements concluded between you and Vikan. In addition, we process your personal data on the basis of our legitimate interest in carrying out customer service, sales and marketing activities, developing existing and new services and products, conducting analyses and compiling statistics on our customer segments and products. Your job application will be processed if you have given your consent to such processing. You can read more about this in our information to applicants, which you can find here. 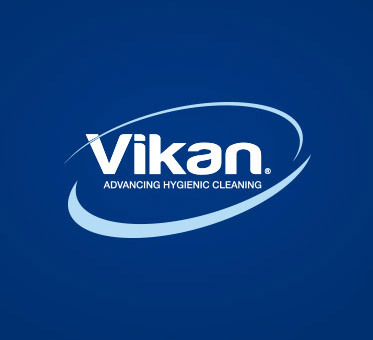 Vikan maintains statistics on which sections of the Website our users visit and which products they prefer. The collected data helps us analyse how users use the Website. This information is used to improve the Website. Furthermore, we use data on all our users' Website navigation to understand how our users as a group use the Website and thereby improve the Website. We also collect information on which products our users as a group prefer. This information is also used to improve the Website. Personal data used to complete a delivery is disclosed to the carrier chosen by Vikan. Your personal data is also disclosed to Vikan's group companies and distribution partners. In some situations and if required by law, it may be necessary to disclose information to judicial authorities. For example, the information may be disclosed to the police in the event of suspected fraud etc. In the event of a restructuring or full or partial sale of the company, any disclosure will take place in compliance with the personal data processing legislation in force at the time. Your personal data will be erased when it is no longer needed for one or more of the purposes mentioned above. The information, however, may be processed and stored for longer periods in anonymised form. We have implemented security measures to ensure that our internal procedures meet our high security policy standards. We will use all our best efforts to protect the quality and integrity of your personal data. 7. Links to other websites etc. You have the right to request access to the personal data held about you at any time, subject to certain statutory exceptions. You also have the right to object to the data collection and further processing of the personal data held about you. In addition, you have the right to request that your personal data be corrected, erased or blocked. Furthermore, in some cases you have the right to receive the personal data held about you in a structured, commonly used and machine-readable format and request us to transmit those data to another data controller. You can at any time withdraw your consent for us to send you newsletters, for example, and close your user account on the Website Behind Login. We will subsequently delete your personal data, unless we may continue processing based on other legal grounds. If you want to withdraw your consent or close your user account on the Website Behind Login, you can contact us at marketing@vikan.com or use the unsubscribe link in the communication you receive from us. If you want us to update, modify or delete the personal data held about you or if you want to access the personal data processed about you, or if you have any questions concerning the above guidelines, you may contact us at privacyprotection@vikan.com. If you want to lodge a complaint regarding the processing of your personal data, you can always contact us by email at privacyprotection@vikan.com or telephone as stated in clause 10. You can also contact the Danish Data Protection Agency, Borgergade 28, 5., 1300 Copenhagen K, Denmark.